Gulet Sway (ex. 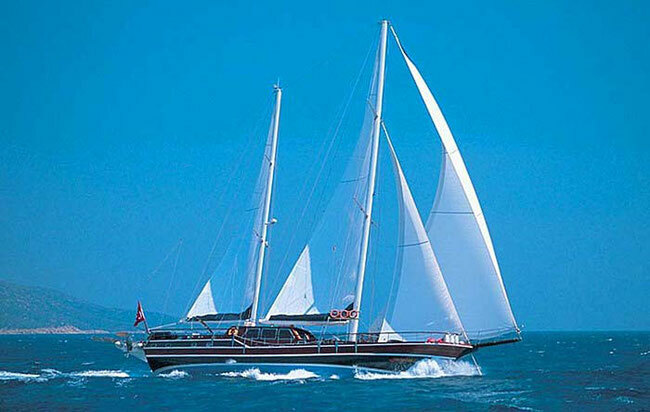 Cobra Junior) is a Royal Class Yacht made in Bodrum. She has 4 air conditioned (2 Master + 2 Double) cabins for 8 passengers. Turkish flagged Transom Stern Gulet, Built 2005 / refitted 2010, Length over All 24.50 m, Length over Deck 23.00m, Beam 6.50 m, Draft 2.55 m, Twin Main Engine 2x 265 Volvo Penta, Freshwater 4.000 lt, Fuel 4.000 lt, Grey & Black Water Tanks 3.000 lt. Spacious sun deck area with Sun mattresses and cushions, Sun awning, Cushioned aft deck with a large table, Deck chairs, spacious saloon with bar and dining table, 24hrs A/C, Hi-Fi Music Set, Plasma TV in Saloon, PlayStation 3, DVD Player, 5.20 m Zodiac Dinghy with 80 HP outboard engine, Snorkel and Fishing Equipment, Canoe, Ringo, Windsurfer, Water ski, Jet ski. Complete navigation equipments, Mobile Phone, Twin Generator Kohler 28 kWA, 24 + 220 V, Life Raft, Life Jackets, Fire Extinguishers, Fully equipped Galley, Filter Coffee, Refrigerator, Deep Freezer, Ice Boxes, Ice Maker. 2 Master Cabin in Fore & Aft side. 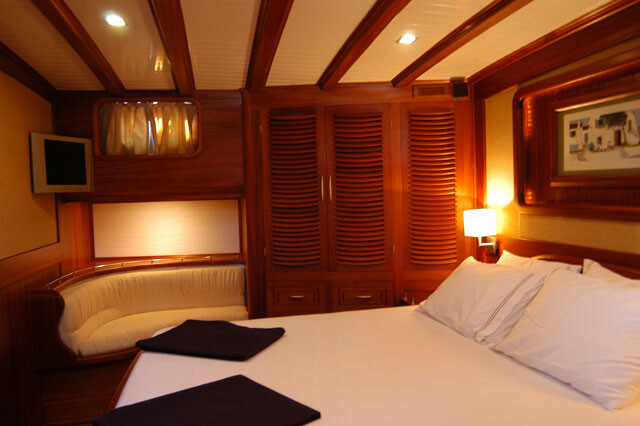 2 Large Double bedded spacious and luxury cabins. Recommended for 8 Passengers. 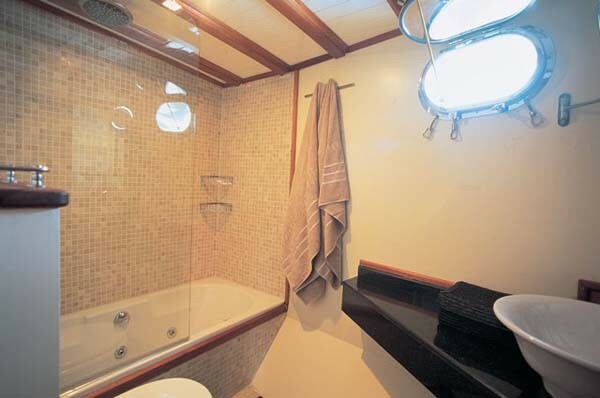 All cabins with air conditioning system and en suite shower and toilet. 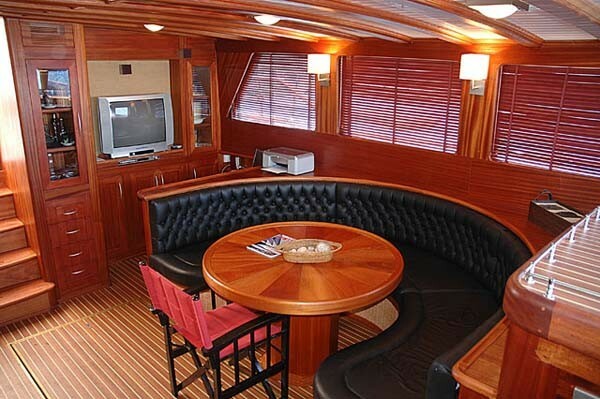 All cabins with portholes, wardrobe, drawer, mirror, smoke detector. 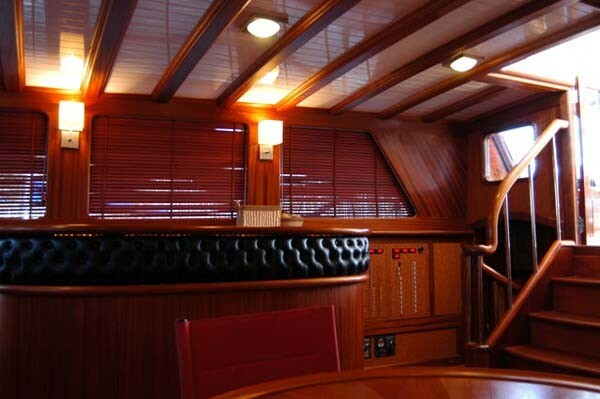 4 (Captain, Chef, Sailor) in separate crew quarters. Language: Turkish, English.